South Africa’s classification as a developing country may make it sound as though it has a relatively ‘young’ history, but it’s merely backward at coming forward about its impressive prehistoric sites, many of which predate the Egyptian pyramids. An almost-complete early hominid skeleton, Little Foot, probably fell into the Silberberg Grotto as long as 3 million years ago. Trapped here his end couldn’t have been a particularly welcome one but his body was fossilised as a result. When bits of his feet (blasted from rock by lime miners in the Sterkfontein Caves in the late 1800s) were discovered in 1994 by palaeoanthropologist Ron Clarke, South Africa had unearthed one of the most exciting fossil finds in the world. Yet it is only one of the finds uncovered in the Sterkfontein Caves at the Cradle of Humankind, just outside Johannesburg. 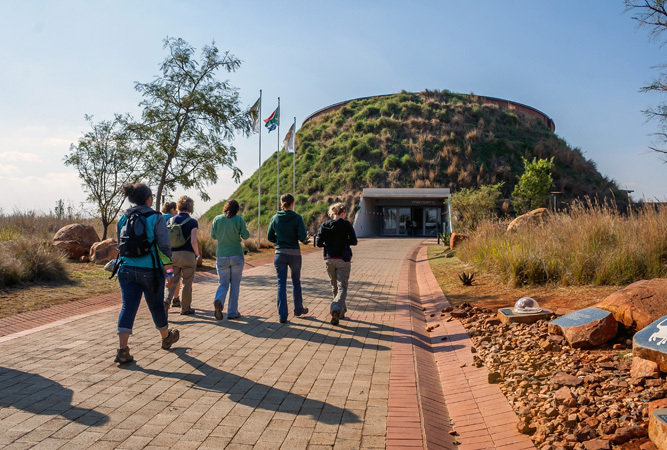 Where: Find out more about Little Foot, Mrs Ples and other skeletons at Maropeng (the museum’s interactive exhibitions get rave reviews) at the Cradle of Humankind. The visitor’s centre is designed to resemble a burial mound. Also do the Sterkfontein Caves guided tour. 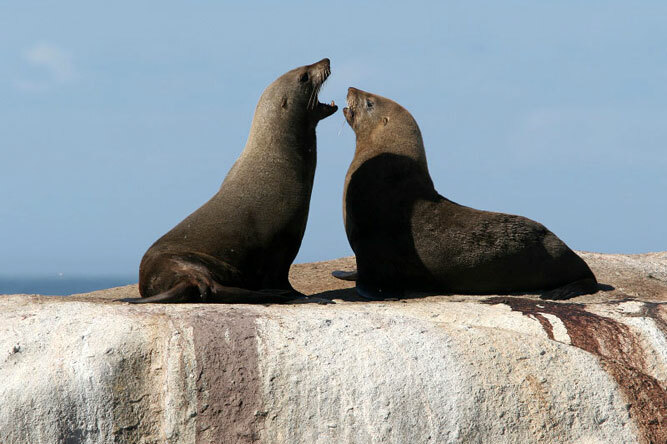 A little way up South Africa’s West Coast, close to Langebaan, is a collection of fossils that sound as though they stepped out of a Hollywood blockbuster – giant bears, sabre-tooth cats, short-necked giraffes, four-tusked elephants and three-toed horses. 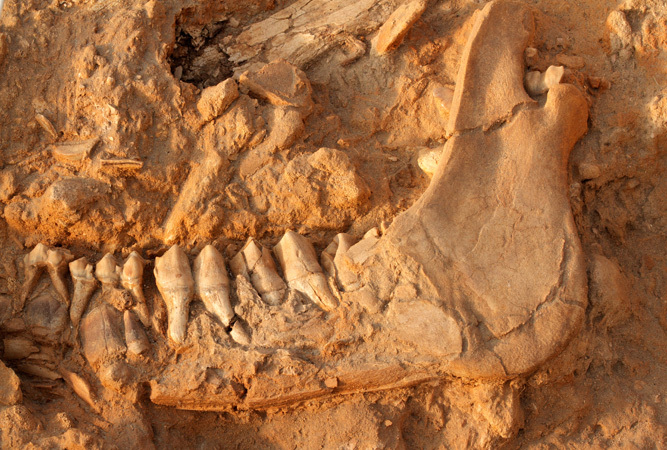 These five million year-old fossils date back to the early Pliocene era – possibly the most diverse fossil find of this era anywhere in the world. Take the guided tour, it is worth the little extra. The rather tired visitor’s centre is undergoing a reconstruction with money from the Lotto, so watch this space. 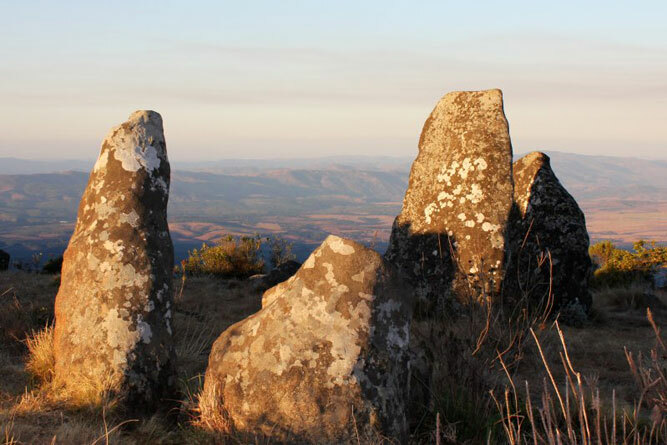 The prehistoric stone circle known as Adam’s Calendar lies on the hills outside the town of Kaapsehoop in Mpumalanga. Controversial claims by Michael Tellinger and Johan Heine site these stones as one of the oldest manmade structures on earth (at least 75 000 years old) and possibly the only example of a functional monolithic stone calendar in the world. The story is linked to further ancient stone ruins across southern Africa, said to possess alignment with the rising and setting sun on the equinoxes or solstices, but dismissed by archaeologists as cattle kraals. Sound farfetched? Do the tour. 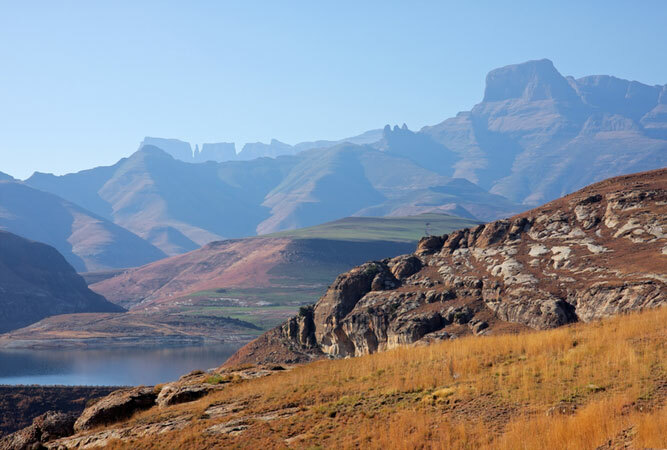 The Drakensberg is rich in San rock art (over 40 000 recorded individual images), paintings that give us an idea of the mythology, ritual and beliefs of a people who existed here long before Europeans arrived in the country. The paintings, depicted in black, white and red pigments, have survived in out-of-the-way caves for at least 25 000 years to function today as pictorial journals telling of dancing, hunting, fighting and ritual trance scenes. This collection is regarded as the ‘best understood rock art anywhere in the world’. Rather than narratives of daily activities, more recent interpretations of these drawings have revealed rich and complex subjects about the spiritual relationship between man, animal and a supreme being. The park has World Heritage Status. These scratch marks on rocks were scoured by glaciers some 290 million years ago during the Karoo Ice Age. 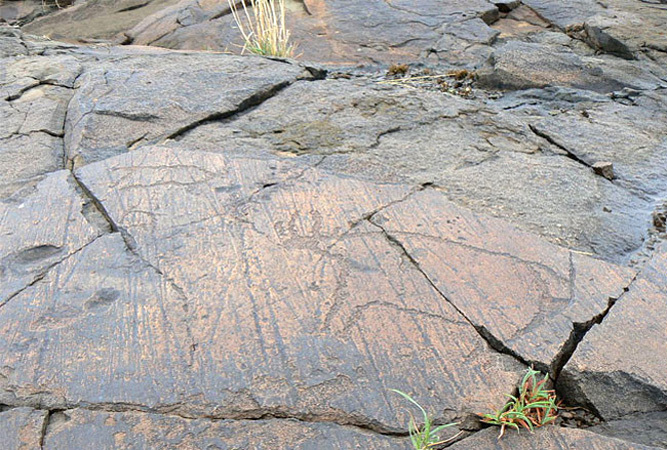 Subsequently the rocks have served as the canvas for rock art, similar to those at Driekopseiland (a controversial rock art site 60 km from Kimberley that depicts over 3 000 mysterious patterns that include spiral and concentric circles). This form of rock art is known as petroglyphs, made by ancestors of the San and Khoe, but their intention is not yet fully understood. Where: off the R31 from Kimberley. Take the turn-off to Nooitgedacht 24 km from Kimberley and follow the dirt road for about 5 km. The rocks are sign-posted. With the discovery of Blombos Cave South Africa discovered a 100 000 year-old art workshop – a collection of tools and painting equipment that dates to about 80 000 to 100 000 years ago. The archaeologists involved have attributed their findings to prehistoric occupants who not only fished and used bone awls, perhaps for leather work, but who painted their bodies red for rituals and carved abstract symbols – symbolic behaviour that is the hallmark of modern behaviour and thinking. These are among the oldest bone tools on the continent. And the accompanying carvings on ochre are considered abstract. Where: The Blombos Museum of Archaeology in Stilbaai lies in the de Jagerhuis-opstal, Palinggat. You can also arrange a tour to the caves, but need to phone ahead and book a guide. 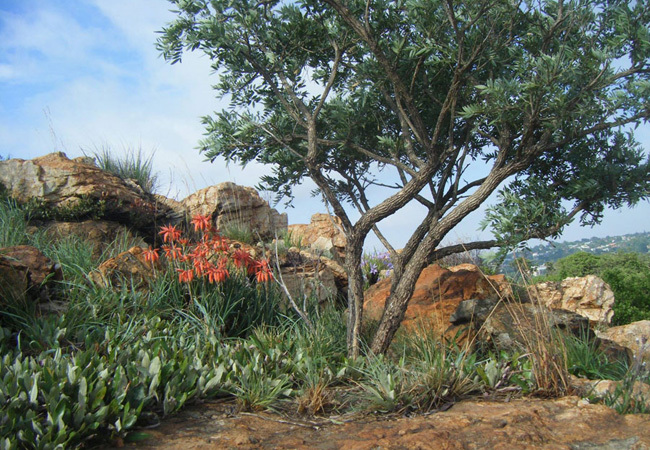 Stone-walled structures on the city heritage site of Melville Koppies are believed to be the sites of ancient rituals. Not immediately obvious when you walk the koppies, these old stone ‘walls’ are clues to previous civilisations – there are thousands of similar stone-walled ruins throughout southern Africa and archaeologists are trying to piece them together to understand our heritage. Together with these stones in the central section of Melville Koppies is an Iron Age furnace, admittedly surrounded by a locked fence, but you can see it as part of the guided koppies walks. 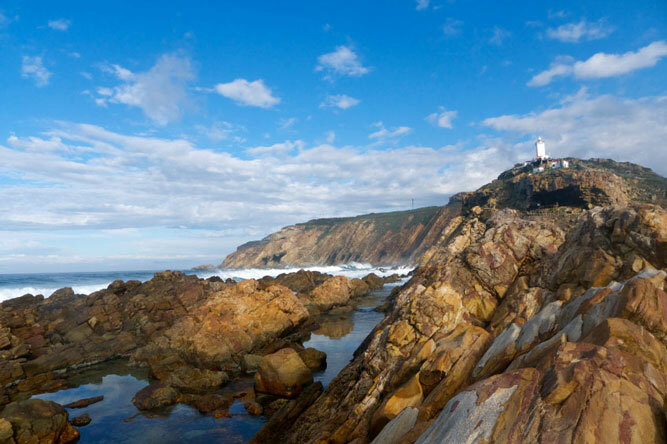 Pinnacle Point is also known as the Point of Human Origins. 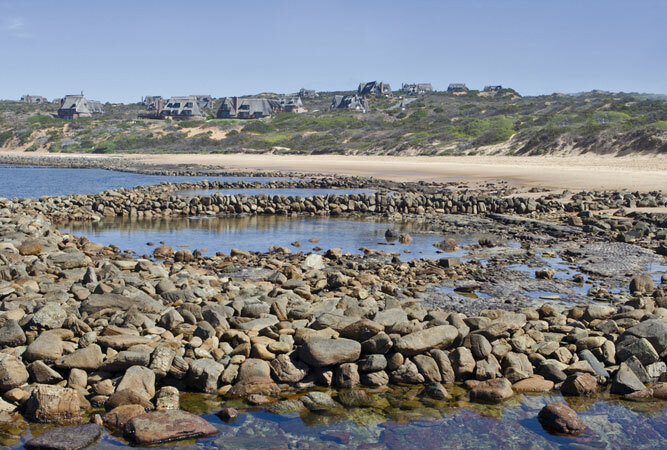 There are a series of caves on a promontory that juts out into the sea, on the coast at Mossel Bay that, during recent excavations, have revealed that people lived here between 170 000 and 40 000 years ago. These people were harvesting shellfish from the sea, producing complex tools and using ochre to paint symbols. This is the earliest evidence for modern human behaviour.